Palm oil is used in up to 50% of supermarket products. Will it ever shake off its bad reputation? Christine Tintinger describes orang-utans as clever, patient animals. She’s worked with the great apes for 28 years, currently as Auckland Zoo’s acting primate team leader. But the lot of these clever, patient creatures in the wild is not a happy one, she says. The orang-utan's plight has been at the forefront of efforts to stop Indonesia’s forests being cleared for new palm oil plantations. The animal’s plight has been at the forefront of efforts to stop Indonesia’s forests being cleared for new palm oil plantations. “Orang-utans are the only true arboreal ape, so they depend on the trees for their lives – for food, nesting and territories,” Ms Tintinger says. Estimates suggest their numbers are already less than 60,000. The orang-utan’s precarious existence was starkly highlighted last year when satellites detected 122,000 forest fires burning across Indonesia. The World Bank called the fires “a vast economic and environmental crisis” fuelled in large part by the country’s lucrative palm oil industry. Favoured for its smooth texture, palm oil is found in everything from snack bars to shampoo. Dairy giant Fonterra, which annually churns through 16,000 tonnes of palm oil in its global production lines, even adds it to Anchor and Country Soft dairy spreads. But events in Indonesia have reignited pressure on companies to prove their palm oil use isn’t linked to deforestation and habitat loss for the beleaguered orang-utan. The Roundtable on Sustainable Palm Oil (RSPO), a largely industry-led initiative, promised to provide a solution by certifying only “good” oil. Set up in 2004, the RSPO counts about 2700 companies among its members including some 135 growers, and 500 food and grocery manufacturers. However, the organisation has been dogged by criticisms its rules are too weak and progress too slow. In the wake of the 2015 fires, the RSPO conceded it couldn’t tell the extent to which its growers may be implicated. A major stumbling block was the lack of up-to-date maps of RSPO-certified areas, which the organisation said constrained its ability to monitor and hold growers to account. Much of the palm oil that ends up on our supermarket shelves comes from plantations in Indonesia and Malaysia. Much of the palm oil that ends up on our supermarket shelves comes from plantations in Indonesia and Malaysia. You may not be able to tell it’s in the products you buy. There are no requirements for manufacturers to disclose palm oil on product labels. It typically hides under the catch-all “vegetable oil”. Globally, the RSPO certifies 21% (13.5 million tonnes) of palm oil as sustainably produced. To gain its stamp of approval, growers aren’t permitted to clear primary forests for new plantations and are expected to comply with other requirements including reducing pesticide use and treating workers fairly. However, the RSPO has only been able to sell about 50% of its certified oil to members. Many opt instead to buy cheaper GreenPalm certificates to offset their palm oil use. GreenPalm is a certificate-trading programme backed by the RSPO and a lingering cause of complaint. Instead of buying certified palm oil, companies can purchase GreenPalm certificates to offset their oil use. The money provides funds for RSPO growers but it means the oil in the company’s products could be from anywhere. Of 12 major companies we looked at, six relied on GreenPalm certificates to offset the bulk of their palm oil use in 2014, the latest year for which figures are available (see “2014 palm oil use”). Unilever, the name behind major household brands Continental and Dove, bought GreenPalm certificates to offset 91% of the palm oil it used in 2014. A Unilever spokesperson said the company had committed to source sustainable supplies, and oil used in locally made food products was now from RSPO-segregated sources (oil traceable back to processing mills). Just 8% of its total purchases were from segregated supply chains in 2014. Greenpeace global forests solutions co-ordinator Grant Rosoman, who spends much of his time working on Indonesian issues, believes GreenPalm has given manufacturers an easy out while offering consumers no assurances about the palm oil in the products they buy. At least some companies have signalled their intent to ditch GreenPalm. Nestlé, which uses 440,000 tonnes of palm oil annually, says it’s mostly phased out GreenPalm certificates. 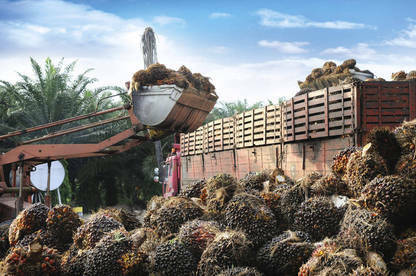 Nestlé corporate and external relations manager Margaret Stuart said 94% (3547 tonnes) of the palm oil the company used in Australia and New Zealand was from other RSPO supply chains. In its 2015 Impact Update report, the RSPO acknowledged GreenPalm trading was a “potential credibility risk” alongside what’s known as its mass balance supply chain. RSPO oil classified as “mass balance” includes certified palm oil that’s mixed with non-certified. The origin of the latter, the RSPO admits, may be unknown. Oil palm plantations can expand into areas not legally zoned for cultivation. The organisation says oil palm plantations, particularly those owned by individuals or independent smallholders, can expand into areas not legally zoned for cultivation. These areas include national parks, forest reserves and other sites of high conservation value. Oil from these plantations can end up in the mass balance supply chain. The RSPO has received complaints about its own growers clearing land of high conservation value for new plantations. Of 54 complaints made between 2009 and 2015, a quarter related to these areas. Subsequent investigations found cases where certified growers had cleared land without carrying out required assessments of its conservation value. The organisation says it “takes such breaches very seriously but prefers to work on constructive solutions rather than exclude producers from the certification system”. Growing dissatisfaction with the RSPO has led to the formation of a separate body, the Palm Oil Innovation Group, which is pushing for higher standards. The group is a collection of palm oil companies, manufacturers and green groups including Greenpeace and the Rainforest Action Network. 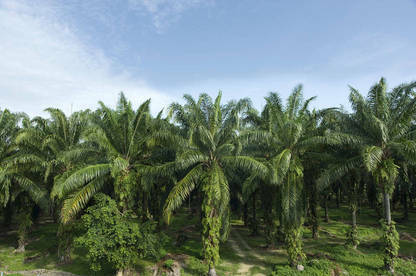 Palm oil producer Musim Mas, a major player which has about 200,000 hectares of palm oil plantations, joined last year. Mr Rosoman says the Palm Oil Innovation Group’s charter bans the clearance of forested areas and carbon-rich peatland. He believes RSPO standards don’t adequately protect these areas, leaving habitat of the orang-utan and other endangered species under threat. The RSPO responded by launching new standards that adopt some measures proposed by the Palm Oil Innovation Group. However, the new standards are an add-on to the RSPO’s certification criteria, and won’t be mandatory for growers. For consumers who just want to know whether the products they buy contain palm oil, there may be light at the end of the tunnel. An independent review of food labelling laws in 2011 recommended oils added to foods be disclosed on product labels. It’s among the last of 60-odd recommendations to be progressed. Food Standards Australia New Zealand is expected to provide its advice on implementation to government ministers this year. Expectations are that labelling will get the green light but on health, rather than environmental, grounds. Palm oil has a high saturated fat content, a factor associated with heart disease. Other countries have already adopted mandatory labelling. Consumer pressure in Europe saw mandatory palm oil labelling introduced in 2014. 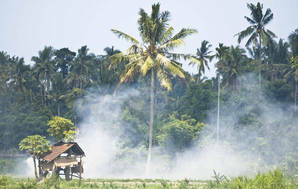 A third of the 2.6 million hectares of Indonesia’s land area burned last year was peatland cleared to make way for oil palm plantations, according to the World Bank. The Bank estimates the fires cost the country $24.2 billion, a figure it concedes doesn’t fully capture the long-term health and environmental costs. The fires have become an annual event as more land is cleared for palm oil and other plantation crops. 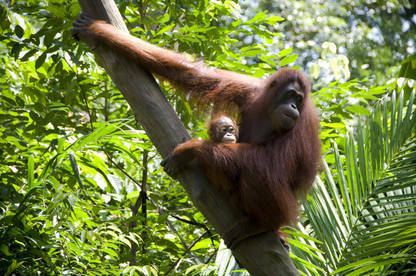 Worst hit have been Sumatra and Kalimantan, the location of much of the country’s peatland and habitat of the orang-utan. The RSPO will publish updated maps of growers’ palm oil plantations this year in an effort to improve monitoring of fires. But this won’t happen in respect of its Malaysian growers, which provide 42 percent of RSPO oil. Legal challenges have been mounted in Malaysia to the disclosure of the information and the matter remains unresolved. Indonesia is the largest source (51 percent) of RSPO oil. Other sources include Papua New Guinea (five percent), Brazil (one percent) and Colombia (one percent). The RSPO did not respond to Consumer's questions about the 2015 fires. Identity preserved: RSPO-certified oil traceable to a single mill. Segregated: RSPO-certified oil traceable to a group of mills. Mass balance: RSPO-certified palm oil mixed with non-certified oil. GreenPalm: GreenPalm certificates purchased to offset palm oil use. GUIDE DATA are from companies’ websites and 2014 reports to the RSPO. GLOBAL PALM OIL USE shows global annual volume of palm oil and/or palm oil derivatives used. Companies are listed by volume of palm oil use. Data for New Zealand and 2015 usage are shown where provided by company. AFonterra also imports 600,000 tonnes of palm kernel expeller. Palm kernel expeller is used as a supplementary feed for dairy cows. As discussed in the article, palm oil is used in a wide variety of products, not just food. I'd like to see mandatory labelling across the board that specifies exactly what goes into products such as shampoos, cosmetics, cleaning products etc. In my view it's just as important to understand the chemical makeup of products that we are either exposing our bodies too (in the case of cosmetics), or the environment (such as cleaners). Of course this will never happen. Manufacturers will cry foul over publicly exposing their products' ingredients, and the use of palm oil will continue to be extended well beyond food products. This article earns a 10-10 for scratching the surface on a global issue - well done. However, I'd encourage much wider research to discover the true extent of palm oil usage. A useful note for consumers would also be a list of companies that avoid palm oil in their products. Whittakers (NZ made chocolate) would be a classic case, where consumers have supported it hugely over Cadburys (American owned) who use the palm oil in their products. For us to know which products are free of palm oil is often our only way of influencing the use of it in manufacturing. 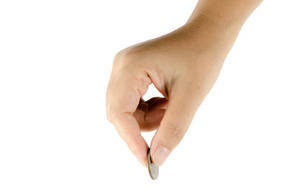 Ultimately, we as consumers hold the trump card, as long as we have the information first. Android phone users might be interested in a free app I discovered, for Australian and NZ Products, that lets you scan a barcode and provides information about Palm Oil content in the product. It's called "POI Palm Oil Barcode Scanner". I'm not affiliated with the people who make the app. Thanks for that info Kerry. I have recently gone meat and dairy free, so want to keep on top of palm oil use. Have just uploaded the app. Please make this article public so I can share it.